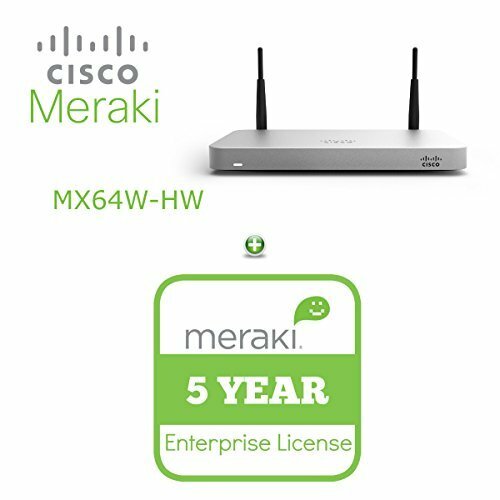 The Meraki MX64W is a cloud-managed security appliance with built-in 802.11ac for branches designed to make distributed networks fast, secure, and easy to manage. With Unified Threat Management (UTM) features like IPS, AV, Content Filtering, VPN and 802.11ac wireless, the MX64 is ideal for reducing overall IT cost while enhancing reliability and security. With Unified Threat Management (UTM) features like IPS, AV, Content Filtering, VPN and 802.11ac wireless, the MX64 is ideal for reducing overall IT cost while enhancing reliability and security.